Download Free Preview Irritable Bowel Syndrome Website with Transferable PLR MRR License - Check Out Irritable Bowel Syndrome Blog Looks like Live! High Quality Irritable Bowel Syndrome Niche Blogs - Fully Optimized For Adsense, Clickbank & Amazon Products. Custom Header - You will receive PSD files for easy editing. Ebook Cover - You will receive PSD files and an ecoverscript for easy photoshop editing. 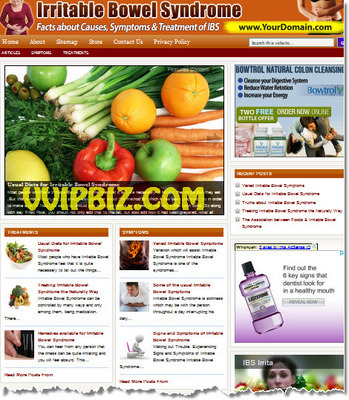 Irritable Bowel Syndrome Website - WordPress Niche Blogs Comes with Private Label Rights!